Welcome to Business case tutorial offered by Simplilearn. The tutorial is a part of the MSP® Foundation and Practitioner course. In this lesson, we will continue with the next governance theme, i.e., the business case. In MSP, the business case provides the vital test of the viability of the program. It answers the question, is the investment in the program still worth it? This lesson focuses on the business case review process and the roles and areas of focus in the business case. It also covers the relationship between the business case and transformational flow. Describe the roles of the Senior Responsible Owner, Program Manager, Business Change Manager and Program Office associated with the business case. The MSP Framework diagram is shown below. The business case is a part of the governance theme and is represented in the middle circle of the MSP® framework. During a program, the senior responsible owner, sponsoring group and program board must have confidence at every stage that the program is viable and profitable. The program should always be in shape to deliver what it has promised within tolerance limits of time, scope, and money. The business case helps in answering the question of viability. In the next section, let us introduce the concept of business case. The business case helps to confirm if a program is viable at each stage. Since the question of viability is on-going, the business case cannot be a static document. It needs to be actively maintained throughout the program and continually updated with risks, benefits, timelines, and costs. The business case will also provide information on the value of benefits, risks of achieving these benefits, the cost of delivering the blueprint and timescales for achievement. Business case identifies the added value as well as the added cost of a program over the projects. It maintains the balance of risk, cost, benefits, and timelines. The business case effectively describes the value of program outcomes to the sponsoring organization. In the next section, we will discuss the genesis of the program business case. The image shown below displays the source of the business case and from where it derives the information throughout its lifecycle. It also helps to review the business case through its life cycle during the program. As can be seen in the image, the business drivers effectively drive the business strategy. The need for change or to start something new often comes from the demands from within or outside the organization, which is reflected in the business strategy. The business strategy further identifies the change that has to be managed by a program. This identification is part of the program mandate that triggers the beginning of a program. By taking inputs from the program mandate and the business strategy, the program brief is created. The program brief tries to find the answer whether the program is viable and achievable. If the answer is positive, the program brief is further detailed in the program business case. The business case will need continuous re-work and updates as the program progresses. The business drivers may also force a change in the business case, for e.g. a legislation that forces the program to change its direction. In that case, the business case needs to be changed. The business case also has to constantly answer whether the program is still worth the investment. For this, the business case is frequently reviewed; especially after the tranche ends or the business case updates, to ensure that going ahead with the program will give us positive results. In the next section, we will discuss business case links with benefits. Definitions of benefits evolve through the program mandate and program brief. The significant analysis is done during “defining a program” to develop the understanding and potential of benefits that program can realize. Benefits are intrinsically linked to the business case, as they are the input information that will provide justification of investment. The anticipated financial savings would be expected to exceed the cost of projects to deliver the capability. The business case should be updated with benefits that have evolved or surfaced during the program lifecycle. Financial savings will be expected to be more than the cost of projects to deliver the capability. The exceptions to this rule are compliance programs. In compliance programs, benefits are more in avoiding negative consequences rather than actual positive effects. In the next section, we will understand the link between the business case and projects. A program includes an overall program business case as well as individual project business cases which focus on the balance between costs, timescales, and risks to project outputs. Escalation of a major issue from one of the projects could affect the viability of a program’s business case. Manages their risks as long as it is within its tolerance limits. Risks managed by projects rarely impact other projects. A program business case also includes the cost of business changes required in the program and benefits realization costs, showing how these integrate with project outputs to achieve the corporate strategic objectives. In the next section, we will look into the contents of the business case. A program’s business case sets out the overall costs, the planned benefits realization and the risk profile of the program in order to assess its viability and make appropriate management decisions about its continued viability. The business case is developed by iteration through stages of formulation and analysis and compiled from the information taken from the blueprint, benefits realization plan, risk register, resource management strategy and resource management plan and program plan. Developing business case along with blueprint enables the program to select the most cost-effective combination of projects and activity workstreams. 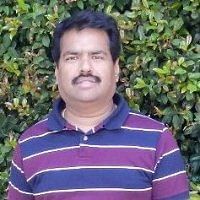 Benefits realization plan provides the details on intended benefits. Risk register helps the business case to understand the identified risks. Resource management strategy and plan identifies the resources available for the program. Program plan helps to identify the accepted timelines. In defining a program, all the documents mentioned above should be prepared in parallel. Just like the business case takes input from other documents, these documents can also get more information from the business case. For example, the business case can identify more risks, benefits and different timelines which will impact risk register, benefits realization plan and program plan. In the next section, we will discuss the net benefit line. The business case is where a trade-off between costs associated with delivering the program and realizable benefits is made. The image below shows that at the beginning of a program, costs are higher, and as the program proceeds and benefits are realized, the cumulative net benefit will increase. During the early stages of the program, the cumulative cost of delivery and embedding which is indicated by the red line might outweigh the cumulative benefit of organization which is indicated by the violet line. As the program continues, more benefits are realized thus providing greater value, so the cumulative net benefit increases. As we can see, the cumulative net benefit rises above zero in the 8th month. This can be managed as a communication milestone with the message that the program has already achieved its break-even in investment. 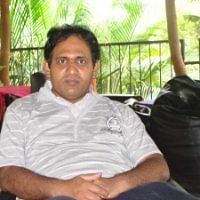 This analysis can only meaningfully compare the cashable benefits against cashable costs but it is the best practice to express benefits in financial terms wherever possible. In the next section, we will look into the different types of program costs. The first type is the project costs, also referred to as investment or development costs. The project costs are those costs which are incurred in acquiring and delivering the outputs. These costs are for the project and the program contingency and budget change. They can be derived from projects dossier, program plan, and project business cases. The second type is the benefits realization costs. The Benefits realization costs are those costs which are incurred in setting up and implementing measurement, monitoring and reporting on benefits realization. They also include other costs incurred, which can be attributed to benefits, for example, compensation packages for staff. They can be derived from benefits management strategy, benefits profiles and benefits realization plan. The third type is the business change and transition costs. The business change and transition costs are the cost of preparing, training, moving and supporting an operational unit until new practices are embedded. They could include interim operational resources required to embed the change. They also include the cost of activities defined in the ‘realizing the benefits’ element of the tranche, the costs of the Business Change Manager or BCM (read as B-C-M) and business change teams. They can be derived from the program plan, resource management plan, and benefits profiles. The fourth type is the program management costs. Some program roles are full-time, such as the Program Office and the Program Manager. The associated costs for the Program Office, the Program Manager, and the program management activities are called program management costs. Program management activities include office space, program tools for tracking and reporting progress. The program management costs also include the contingency budget for dealing with risk and change and the cost incurred in assurance and review. They can be derived from resource management plan, information management strategy, program communications plan, quality and assurance strategy and program plan. The fifth type of program cost is the capital cost. Capital costs are those costs incurred for the purchase of the fixed assets which are categorized under the heading, technology, in the blueprint. In terms of accountancy, the impact of these costs will often be spread over a number of years. They can be derived from the blueprint. In the next section, we will discuss reviewing the business case. The business case should be reviewed at the end of each tranche to assess the continued viability of the program and any need for realignment. The image shown below, depicts the process of validating a business case. The first step is to ‘identify’. In this part, identify if the initiative makes good business sense, and send the feedback to policy strategy group. If satisfied with the viability of the business case, send the inputs forward to define the business case. If the initiative doesn’t make good business sense after the initial assessment, the program will not proceed with current assumptions. It is important to ensure that sufficient alternatives have been considered and the emerging business case is optimum. Next step is to ‘define’. In the defining part, ensure that the business case still remains viable and profitable as the management and other activities are added. Also, check that it is aligned with the strategy at the same time. Once satisfied with the progress and emerging business case, send it to ‘tranche’, which is the third step. At the end of each tranche, some benefits are delivered. At the end of the tranche review, re-assess the business case to confirm that business case is still valid and viable. There might be some changes required after the review. If satisfied, send it forward to the next tranche. Note that, if a tranche is long, the business case reviews should be scheduled at least every 6 months. In the later tranches, ensure that the tranches are making use of changes in business case and exploiting the new opportunities for better benefits. The last step is ‘close’. During the “close” part, validate if the business case was met. The lessons learned are used to improve the future business cases. In the next section, we will learn how to manage the business case. Information presented in the business case will serve many purposes during the life of a program. They will all be focused on ensuring successful delivery and strategically aligned outcomes. Will the changes to the cost-benefit profile alter the status and relative priority of the program in relation to meeting the corporate strategic objectives? And any significant new risk identified. Even after the program ends, the Senior Responsible Owner or the SRO (read as S-R-O) should continue to champion the desired outcomes, values, and principles that underpinned the change initiative, and continue benefit realization even after the program closes. Let us next discuss the relationship between transformational flow and business case. 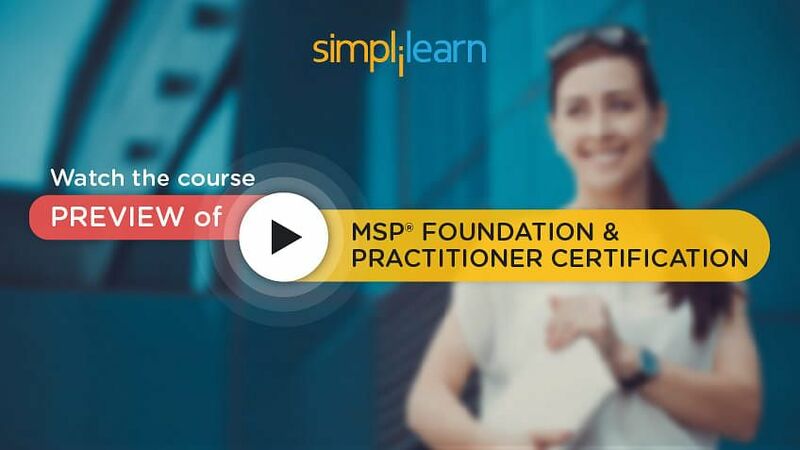 Take a look at our MSP Foundation and Practitioner course preview here. Program mandate is an input. If the programming mandate is flawed, this should be revealed during the development of the program brief. The program brief is created in this process and provides an outline of the business case. The whole business case is created and developed using inputs from other governance documents undertaken in this process. It provides guidance on how to develop the business case by iteration. 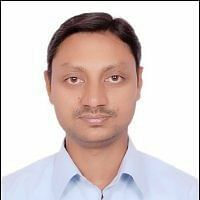 It ensures that all alternatives are considered to ensure optimal business case has been chosen. The business case is the key control document and needs to be updated and reviewed throughout each tranche to ensure proper control. At the end of each tranche, The business case needs to demonstrate that the program is still viable in all respects. The business case must also continue to be aligned with corporate strategy. description of how project outputs integrate to achieve corporate strategic objectives. While reporting the projects to the program, the program business case should include the provisions of an updated project business case. Benefits are an important part of the business case, along with cost, time and risk. If the program fails to realize its planned benefits, then the business case will fail to be achieved. Benefits reviews will provide an important input to reviewing the business case. Business case should have been achieved by the closing of the program. The business case is finally updated from all the program plans and the business cases of the constituent projects. In the next section, let us discuss the roles associated with the business case and their areas of focus. We will focus on the roles, namely, the Senior Responsible Owner or SRO (read as S-R-O), Program Manager, Business Change Manager and Program Office. Ensuring that the business case is controlled and the audit trails are in place to account for changes as the program develops. Consulting with the Sponsoring Group to identify any early warning indicators of change that may endanger the business case. The responsibility also includes initiating independent assurance reviews of the business case viability. Next, let us discuss the roles and area of focus of a Program Manager. Manages the program’s expenditure against the overall investment defined in the business case. The Program Manager also identifies the opportunities to optimize the business case. Now, let us discuss the roles of the Business Change Manager or BCM (read as B-C-M). Profiling the benefits and the dis-benefits and their associated costs. Ensure total cost of change is captured in the business case. Measuring benefits at the start of the program and tracking throughout to inform the net benefits. They also manage the business change costs, the benefits realization costs, and the profiled benefits. Let us discuss the roles of the Program Office. Facilitating the business case reviews. In the next section, we will look into the information provided about the business case. The Business case is used to validate the initiation and on-going viability of a program. Aligning with organizational context and business environment along with expected benefits. It also includes overall risk profile including the major risks and the risk assessment. It will provide details of estimated cost and overall timescales. It will provide investment appraisal and forecasts of cash flow and expenditure over program timeline. It also lists the options and approaches that have been considered including costs, benefits, and risks. For the program, Nutri Snack, Kylie Honkele, the SRO of the program has to guide Chao Yin, the Program Manager to write a robust business case. Kylie is analyzing the list to understand if it is useful and anything more can be included in it. Let us find out Kylie’s interpretation of the analysis in the next section. After having a detailed analysis of the list submitted by Chao, Kylie has suggested adding some more information. Kylie has also explained to Chao the need to have this information in a business case. Following is the information to be added to the list presented by Chao Yin. The first one is to create a risk profile highlighting the major risks to the program. When highlighting risks, focus on risks that can cripple the program. Only such risks need to be included in the business case. Next, the program should conform to the vision statement and align to not only the strategic objectives but also to the organizational context and the business environment. 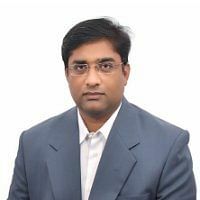 Then it needs to be ensured as to whether the organization is able to achieve the necessary transformation along with identifying the benefits. If not, then the program will result in wasting the resources. Fourthly, the investment appraisal needs to be done to make sure that the program is worth investing. It will give us a base to check the proportion of cost and benefits. Finally, details of different options and approaches that have been considered are also included in the business case. These can be used in case of any change required in the future. The documents that form the content of a business case are the blueprint, benefits realization plan, risk register, resource management strategy and resource management plan and program plan. The business change and transition costs are the cost of preparing, training, moving and supporting an operational unit until new practices are embedded. The capital costs can be derived from the blueprint. The steps involved in the business case review process are identified, define, tranche and close. The relationship between transformational flow and business case can be defined on the basis of identifying a program, defining a program, managing tranches, delivering capability, realizing benefits and closing the program. The SRO secures the investment of the program. The Program Manager prepares the business case. The BCM ensures that the total cost of change is captured in the business case. The Program Office facilitates the business case reviews. With this, we come to an end to the tutorial in the business case. In the next chapter, we will learn Risk and issue management.